Custom Web Design Services | PHP mySQL Database Programming, Wordpres Blog Design, Internet Consultation, eMail Marketing Lists Manager | Webwest Internet Solutions Inc.
Webwest Internet Solutions offers additional and custom web services to augment your website and increase your success. PHP mySQL database programming, Secure SpamBot-Free Contact Forms, and Wordpress blog design are a few tools we pack in our arsenal. Website marketing and promotion tools include eMail Marketing Mailing Lists Manager, Website Live Help Program and Moblie website creation. 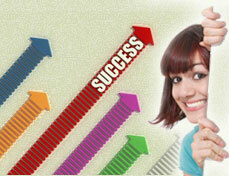 Learn to promote branding using Twiiter and other social networking tools. We'll teach you things along the way! No matter what additional functionality you need, let us know. We provide complete Internet consultation pertaining to all facets of your online business success - choosing the right domain name, how to promote your company online and offline as well as advanced database integration. We can hook up Google Analytics to your website, blog or Miva Merchant store and have experience with VoIP telephones and custom website "call me free" functions. Our professional and experienced programmers can integrate Custom PHP mySQL Database functionality into your website or Miva Merchant store. If you can dream it, we can probably do it. Send your PHP MySQL database project specs and get a free quote now. Blogs and social media can be big website traffic drivers and are extremely popular at this time. 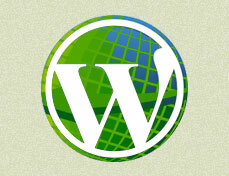 Google loves fresh content and Wordpress blogs are easy to use. We can install and customize a Wordpress blog for your company as well as integrate social media bookmarks like Twitter, Facebook, Linkedin, Delicious, Digg etc to make it easy for your clients to follow your company. Tweet your blog posts from Wordpress, set up a public event calendar and a whole slew of other cool and useful features using free Wordpress Plugins. 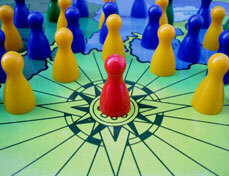 "Checking in" with clients is important to promote your company brand and services. They've signed up to receive your newsletter for a reason, so don't disappoint them! We can show you how to send monthly HTML newsletters with product specials, new website updates and coupon codes to keep visitors coming back to your website. We can integrate "sign up for our mailing list" features into your website, Miva Merchant 5+ shopping cart or blog. Our Miva powered mailing list program has many features. Here are a few and a few more and a few more words. Your customers have had a good experience with your company - make it easy for them to receive updates from you - they want them! Newsletter mailings can also made available as an RSS feed. This custom Miva powered opt-in newsletter and marking program works with all Web hosting packages at our sister site LA Servers International, a Miva Merchant eCommerce hosting package is not required. Chat with visitors to your website in real time, direct their web browser to any page on your site (or any site), track visitor visits and PPC campaigns and much more using our Live Help program. Combine our website / VoIP telephone "call me free" feature with Live Chat Help for powerful real-time customer interaction. Contact forms are liable to suffer from automated spam bot submissions these days but our form script alleviates that problem. 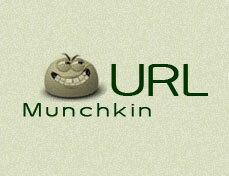 MunchkinURL is a PHP / mySQL personal URL shortening application. If you use Twitter, you've seen and used URL shorteners like tinyurl.com and bit.ly. If you regularly send long URLs that break in emails (like Google Maps), get MunchkinURL installed on your own domain name. 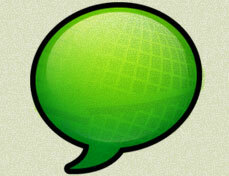 Tweet short URLs using your own domain name or send them in instant messages. High quality business and eCommerce Web hosting is available through our sister site, LA Servers International. It's easy and convenient to keep everything web - your domain name, website, domain eMail, Web hosting, Miva Merchant store and secure certificate all in one place. A lot more! You'll learn things along the way working with us!